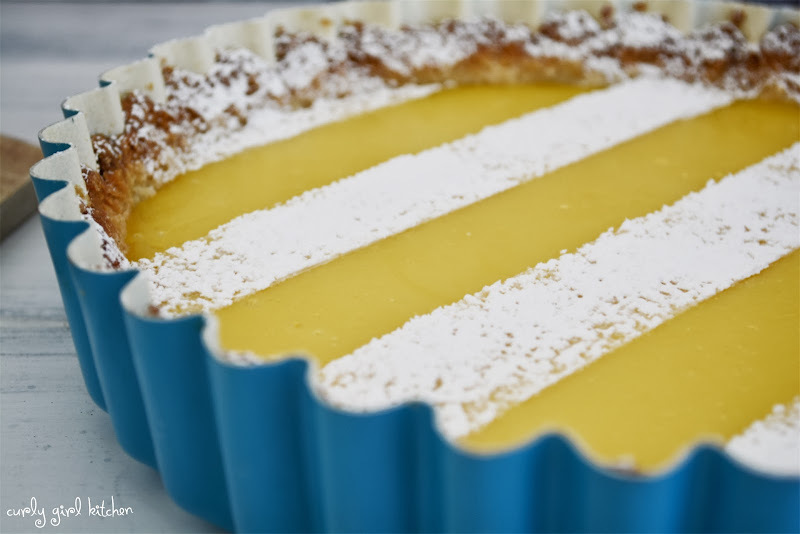 I've been on a quest of making a more perfectly perfect lemon tart. 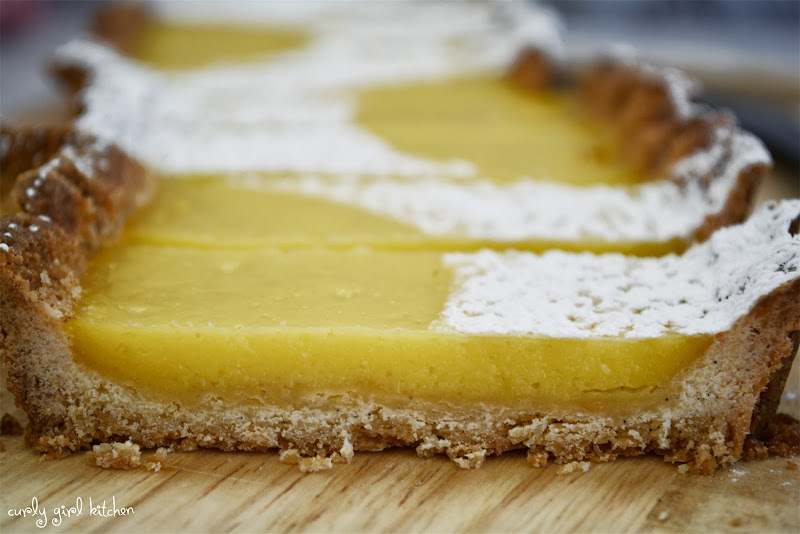 First, there was one of my early recipes on this blog for a Lemon Cream Cheese Tart which I made one year for Father's Day. 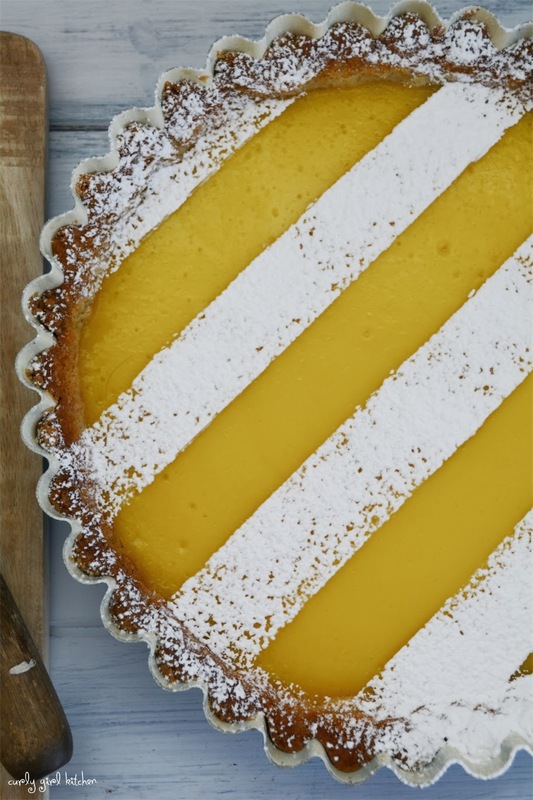 Dorie Greenspan's lemon pastry cream is smooth, creamy and delicious to be sure, although heavy on the butter, surprisingly so for an amount of pastry cream that only fills a tart shell halfway full. So I supplemented the filling with a layer of cream cheese and whipped cream, and the results were wonderful. Then, there was the Meyer Lemon Ricotta Tart in a chocolate Oreo crust, and I remember that Jamie just loved this one. 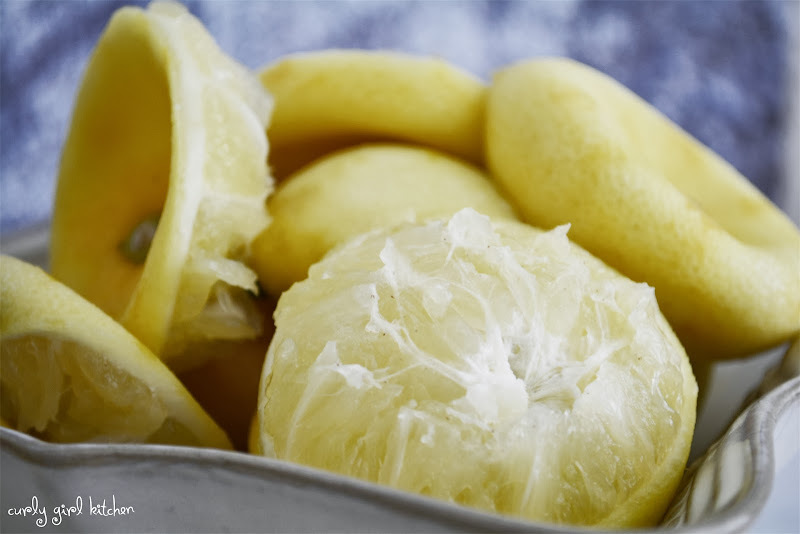 Meyer lemons are sweeter, though, and it just wasn't quite tart enough for what I wanted. I made another Lemon Cream Cheese Tart for what I'll refer to as "The Lemon Project" one weekend, similar to the first, but with straight up homemade lemon curd instead of pastry cream drizzled over the cream cheese. It tasted nice, although not all that memorable. 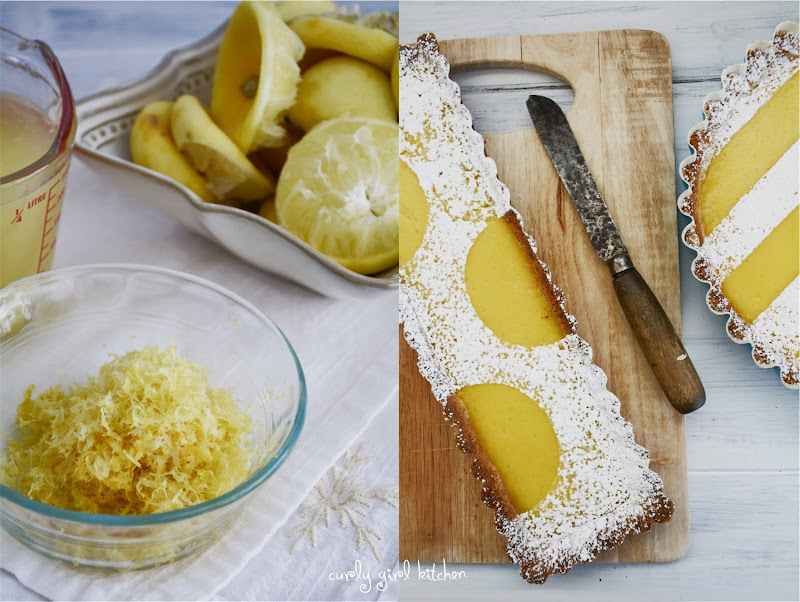 And through it all, I've been feeling just a little bit sad that I haven't yet made a lemon tart, full from bottom to top of just tart lemony goodness. 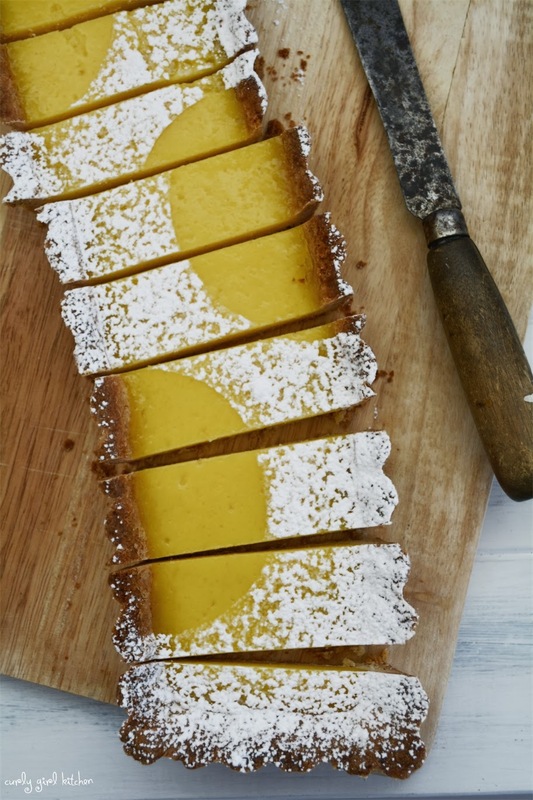 This filling recipe by America's Test Kitchen looked promising, though, and it was with excitement that I mixed it up to pour into shortbread pastry, which I made extra lemony with lemon zest in the pastry itself. 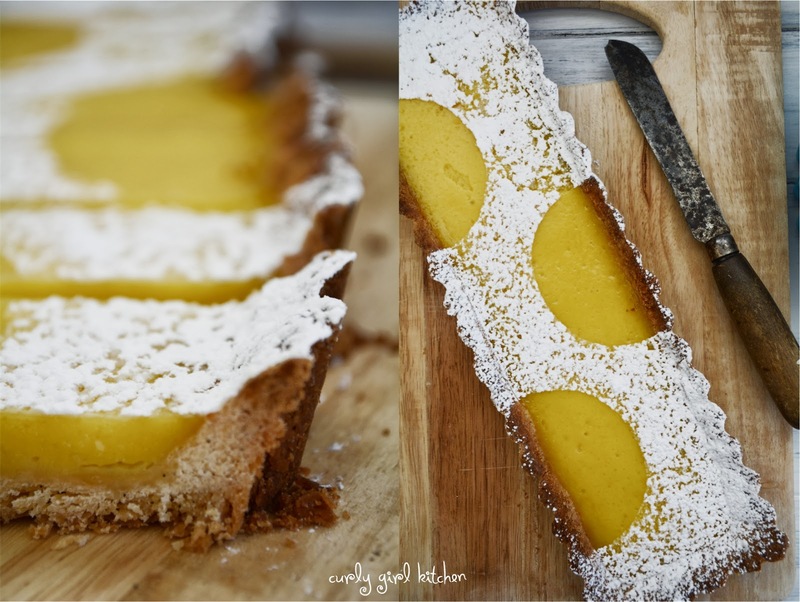 And it really was a lovely tart that baked beautifully and tasted so so lemony. If judging this tart on taste alone, this would be a keeper. I also loved the way it sliced so cleanly and beautifully. 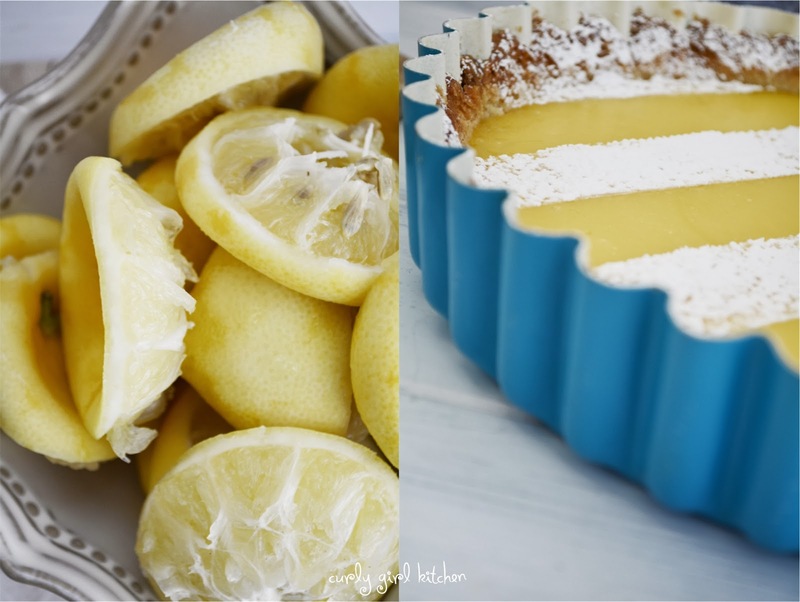 I'm not sure I care for the two-step process of first cooking the lemon curd before baking, as well as the waste of so many egg whites that I cannot possibly find a use for since I have no taste for meringues or egg white omelets, and rarely make angel food cake. 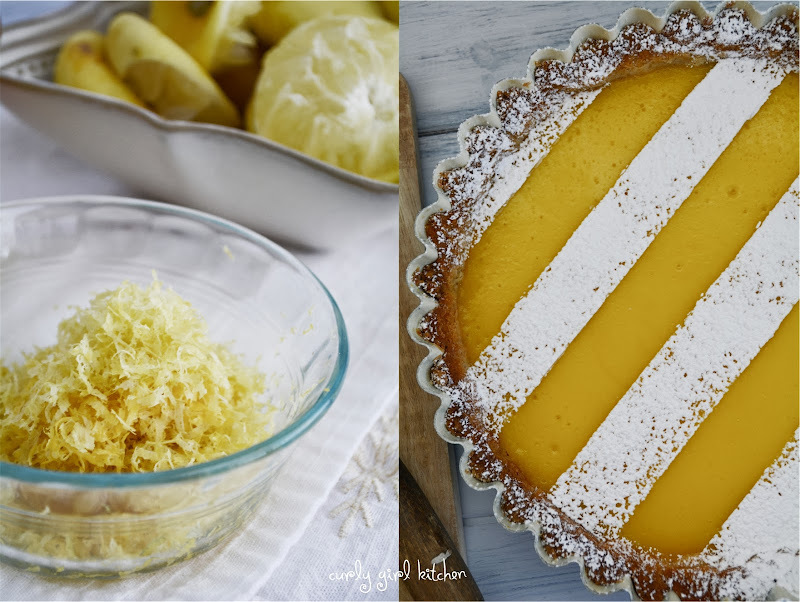 So the quest for my perfect lemon tart continues. 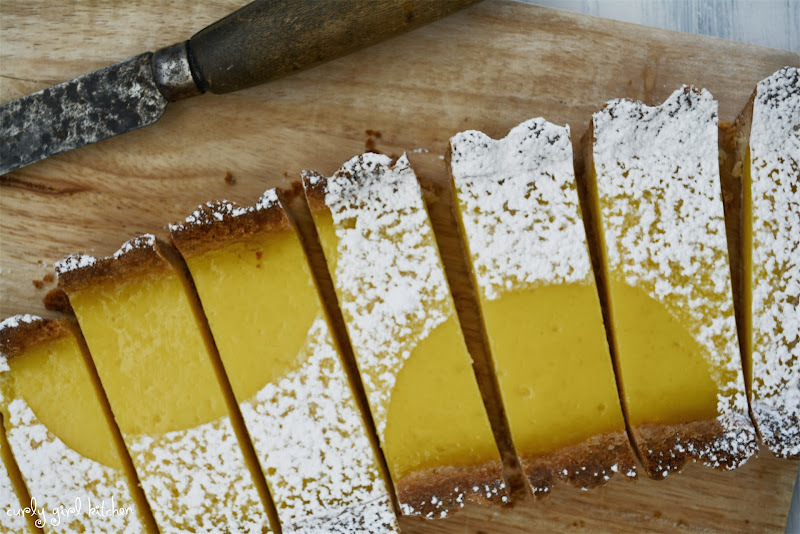 But is this the perfect lemon tart for you, do you think? 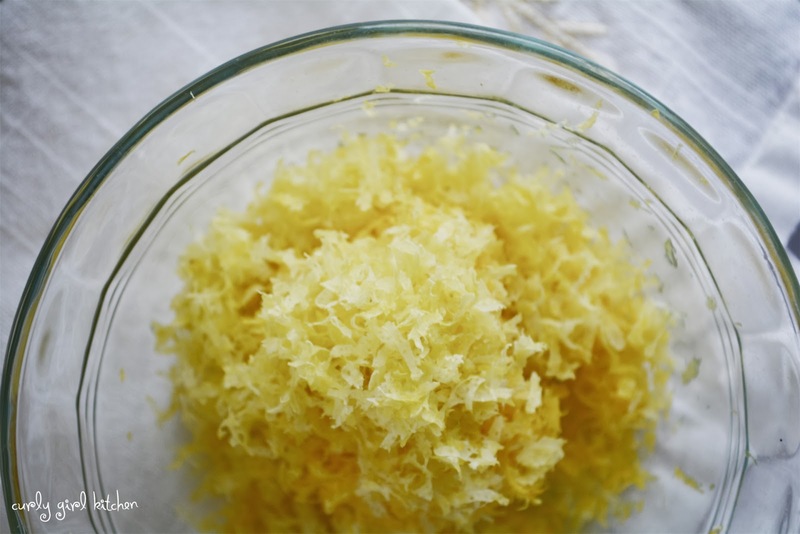 For the crust, combine the flour, powdered sugar, salt, lemon zest and vanilla bean seeds in a food processor. Drop in the butter, a tablespoon at a time, then the egg yolk, pulsing to incorporate until moist and crumbly. Press the crumbs against the bottom and up the sides of a 9-inch round tart pan with a removable bottom. Freeze for 30 minutes. Preheat the oven to 375. Set the tart pan on a baking sheet. Spray a piece of foil with non-stick spray; place greased side down against the crust; fill foil with dried beans or pie weights. Bake for 20 minutes, then remove from the oven and remove the foil and beans. Meanwhile, set a heatproof bowl over a pan of simmering water, so that the bottom of the bowl is not touching the water. 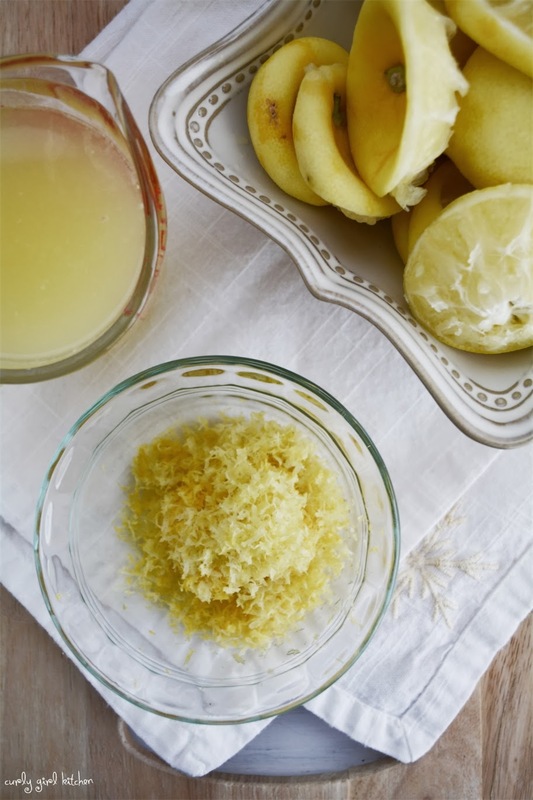 In the bowl, whisk together the egg yolks, eggs, sugar, lemon zest, lemon juice and melted butter. Cook the filling while whisking constantly, until thick enough to coat a spoon, about 7-10 minutes. Remove the bowl from the pan of water and pour the filling through a fine mesh strainer to strain out the zest. Whisk the cream into the filling. Pour the filling into the pre-baked crust and bake for 10-15 minutes, until the filling is set. Cool at room temperature for two hours, then refrigerate for several hours before serving chilled. Baker's Note: If garnishing with powdered sugar, wait to sprinkle on the powdered sugar until just before serving, since the sugar will melt and disappear after a few minutes.